Replacement windows may look pretty similar to ones from the past, but new technology has significantly improved the way they look and how they work. Today’s windows include new technology designed to help them be stronger and far more energy efficient. 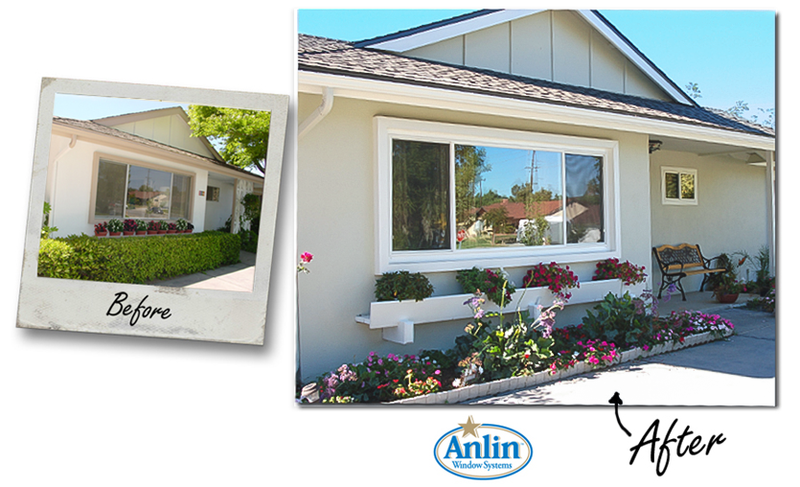 The Anlin Del Mar replacement windows are designed to make your home more energy efficient, which means you pay less to heat and cool your homes. Check out some of the latest technology that’s used in these windows to see just how beneficial installing new windows in your home might be. New replacement window technology includes an update to the sash to help prevent heat from entering or leaving your home. A sash window has one or more movable panels, or “sashes”, that form a frame to hold panes of glass. These windows can also be called hung sash windows. Replacement windows include fiberglass thermal inserts in the sash. This helps to strengthen the key components of the sash and provides added thermal insulation. A green foam is also used strategically to fill spaces in the window frames, helping provide maximum energy efficiency. These updates help to fill what would normally be empty space, keeping your heating and cooling inside your home. This will help you save the life of your air conditioner or heater and keep your home comfortable year-round. Glass makes a big difference in how energy-efficient your home is. By using the latest replacement window technology, your home can keep cooler during the summer and warmer during the winter. The insulated glass system used is filled with Argon gas, which is safe and maximizes energy efficiency. It also includes a triple-layer metal coating that’s not visible but that helps to reflect and block the sun’s heat. Modern windows also include a special coating that makes them easier to clean. Your windows will continue to work properly and look fantastic as long as you have them. The dual-pane windows use Argon gas to help slow the heat that passes through the window. They also include a special spacer that’s designed to add insulation to your window and help slow down the transfer of heat. The spacer is a silicone foam spacer that helps provide better insulation. It’s designed to improve condensation resistance so you don’t have to worry about condensation appearing between the window panes. Solar reflective technology helps to keep the sun’s heat out of the home throughout the summer. The special G340 tinted triple silver coating helps to reduce solar heat and helps to lower cooling costs inside the home. When less heat is able to make it into the home, less energy is needed to keep the home cool. You could spend less on your energy every month because of this update available on today’s replacement windows. Replacement window technology has come a long way in just the last few years. Double-pane windows with the latest technology and upgrades can outperform some of the triple-pane windows that are available today. If you want your home to be more energy efficient, take a look at the windows available now. Installing new Anlin Del Mar windows can help you see savings on your heating and cooling bills throughout the year, helping you save quite a bit of money. Click here for details on how you can receive $1500 off your next home improvement project.